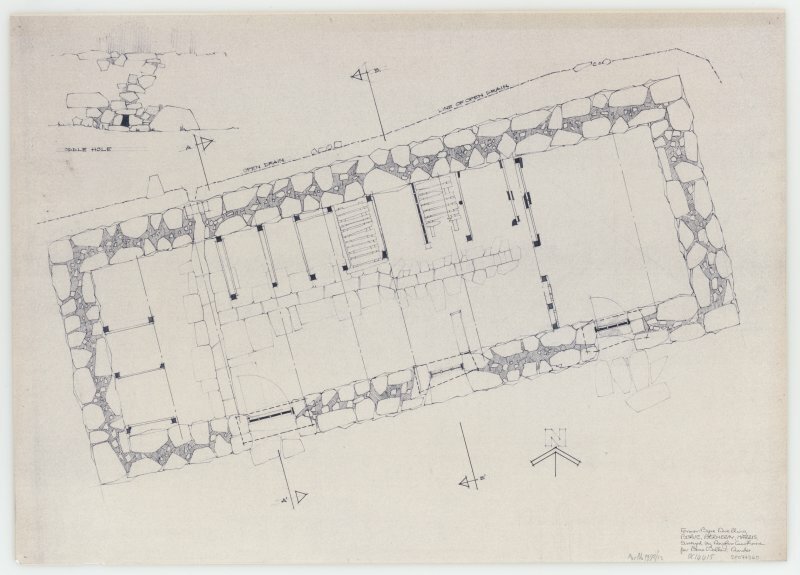 Ground floor plan and elevation. Borve (Borgh) Excellent example of a crofting township dating from the resettlement of 1900. 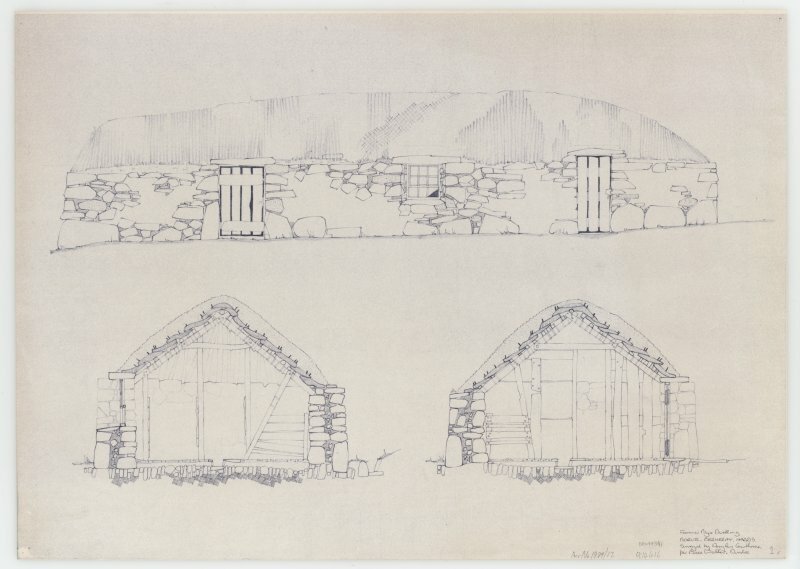 The byres were built first, providing accommodation for the crofters until their new houses were ready. Within battered walls nearly a metre thick were a stone-flagged byre and stable, with temporary living quarters at one end. Borve (name at NF 9140 8082 on OS 1:10,000 map, 1971): a settlement of continuous depopulation and repopulation inextricably mixed. A township comprising thirteen roofed buildings, one of which is a long building, thirty-six unroofed buildings, one of which is a long L-shaped building, several enclosures and some field walls are depicted on the 1st edition of the OS 6-inch map (Inverness-shire, Hebrides, Harris, North Uist etc 1880, sheet xxvi). Sixty-five roofed, five partially roofed and twenty-seven unroofed buildings, several enclosures and some field walls are shown on the current edition of the OS 1:10000 map (1971). Information from RCAHMS (SAH) 2 April 1997.